Identify who’s disturbing your kid with constant calls. What is Kidgy call tracking? Kidgy Calls feature was designed to help parents be aware of who their kids are talking to by phone and the frequency of the calls. It allows to view contact details and manage them. Parents can ban unwanted numbers and protect kids from troublesome communication. Whatever the call is, made or received, you can always view it remotely with Kidgy. Find out which contact needs to be paid attention to by viewing the contact details. Monitoring contacts from a cell phone contact book can tell you which one needs to be blocked. Protect your kid from people you think they shouldn’t communicate with. Find out date and time your child talked with that particular person. Know how much time your child spent talking with that exact contact to prevent odd communication. 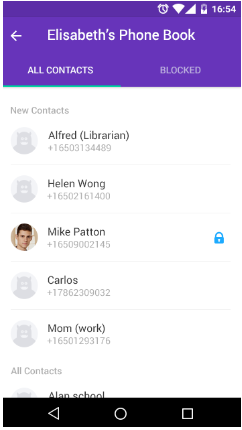 With Kidgy phone calls tracker feature a parent can view all calls and track people behind them. They can stop communication their children are not able to get rid of. The feature allows to block unnecessary contacts and, thus, decrease unwanted influence. After looking through call tracker logs you’ll know what numbers are not beneficial for your kid and need to be blocked on their behalf. Bullying is often spread via constant calls kids are used to withdrawing. Find out who’s calling and ban contacts that hurt your kid. Time, date, and duration stamps of any call are delivered to your phone. Depict communications that seem abnormal for your child. Supervise your kid’s call logs when far from home with Kidgy call tracking software. Control and manage your child’s Android or iPhone phone book remotely. “Love this parental control app and recommend it for sure. All my friends use it for their kids. It has everything you’d expect from parental control application. Full-featured and practical. Gain your 5 starts”. “Became a big fan because it meets all my needs as a parent. Easy to figure out the functionality. Support staff helpful and nice. I would definitely recommend it, especially if you’re not tech-savvy”. Knowing which games your kid plays and at what times is not easy. Kidgy gives you a comprehensive report of all apps installed on your kid’s phone. Constantly checking which websites your kid visits could be a hectic task. Kidgy takes care of it by blocking all websites you deem inappropriate. How to block phone calls? Whether it comes to spammers, telephone scammers, telemarketers, debt collectors, or simply strange and inadequate people, we have all been in a situation when to block phone calls is the only way to get rid of them. The truth is that there are always callers we never like to talk to. The same applies to teens and tweens. Moreover, the situation with children is even more complicated, which makes the ability to block incoming calls a must-have for every caring parent. After all, we live in a world when bullying is no longer limited to street corners or schoolyards. It can occur anywhere, 24 hours a day, even when your son or daughter is at home. As a result, without a reliable incoming call blocker installed on your kid’s device, the effects of bullying can be devastating, from feeling angry and hurt to becoming ill with depression. If you do not want your kid to be a bully-victim, you need to protect them and stop unwanted calls. This is where our smart call blocker comes into play! Stop unwanted calls in just a few clicks! view contact list names, numbers, and emails. In other words, you will be able not only to block and stop unwanted calls that may affect your child – you will get the complete information about their communications and contact list. This is the best way to reinstate your peace of mind and protect your kid from many dangers. Why choose our call blocker? a full set of other mobile monitoring features that may also come in handy. In this way, if you want to stop unwanted calls and prevent your innocent child from getting into trouble, the Kidgy blocker is the right solution. 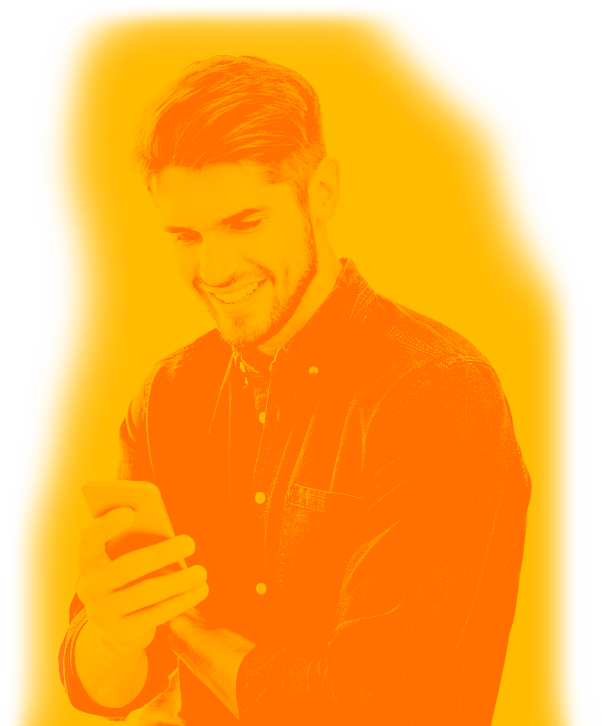 We will help you become a digital parent armed with the best tracking application ever! Your kid’s safety and happiness are in your hands!